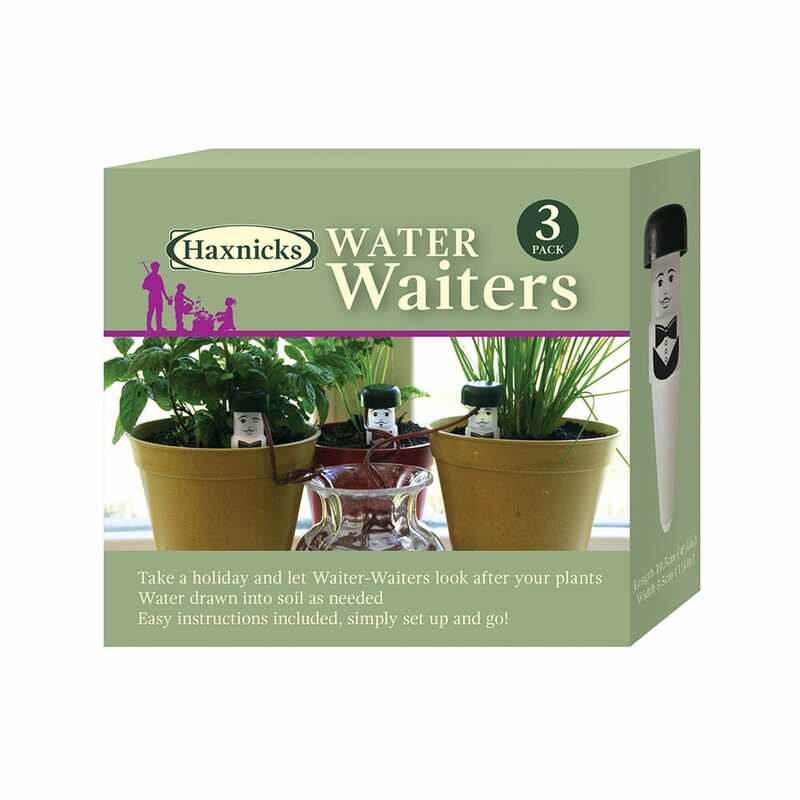 Water-waiters are a simple self-watering system for house plants providing an ideal solution to keeping plants watered whilst on holiday. 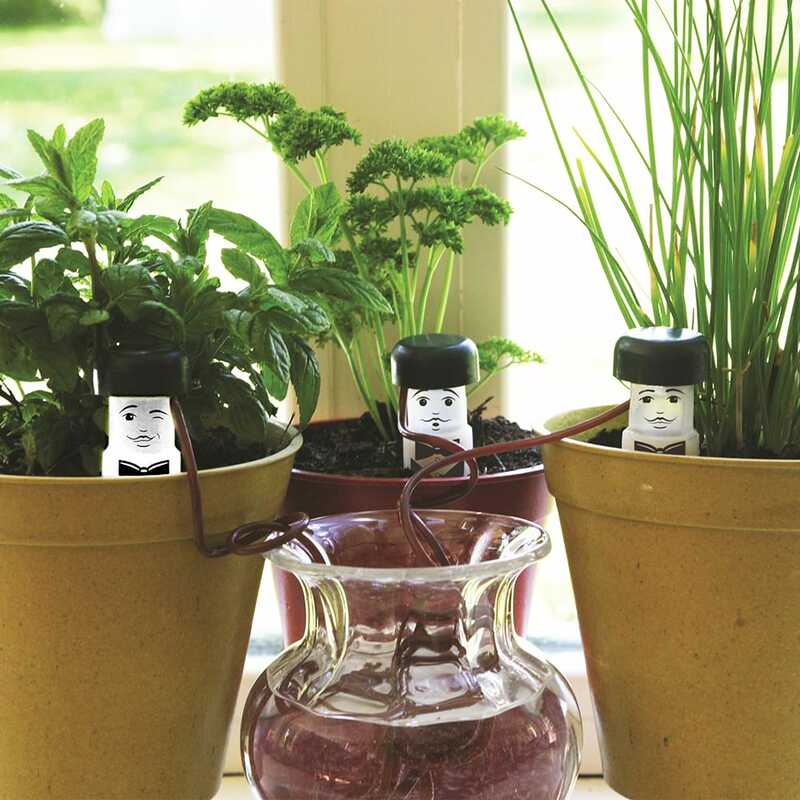 The smart way to serve your plants. A pack of Water-waiters consists of 3 ceramic cones with attached tubing. When properly prepared and placed in the soil the porous cones will draw water as needed from a static water supply and deliver it straight to the roots of the potted plant. A brilliantly simple but effective way to keep plants watered whilst on holiday.